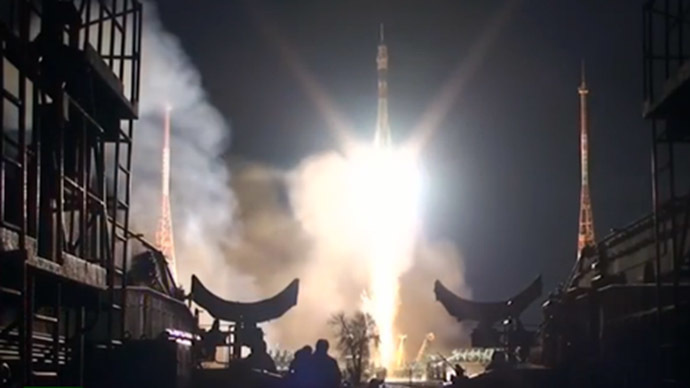 The Russian-US-Italian crew ferried to the International Space Station aboard a Soyuz TMA-15M spacecraft has successfully entered the orbital outpost, where they were greeted by two Russian and one American colleagues. “The hatches are open. The crew of the Soyuz got safely aboard the ISS,” a spokesperson for Roscosmos told RIA Novosti. The spacecraft blasted offfrom Baikonur Cosmodromeat 21:01 GMT, with the crew reaching the ISS in just under six hours. Russian cosmonaut Anton Shkaplerov, Terry Virts of the US and Italy’s Samantha Cristoforetti are to spend 169 days in orbit. “Everything's fine on board, everything's nominal,”Shkaplerov radioed back to central command after liftoff. Eight minutes and 45 seconds after liftoff, Soyuz separated from the upper stage, setting course on a quick route to the ISS. 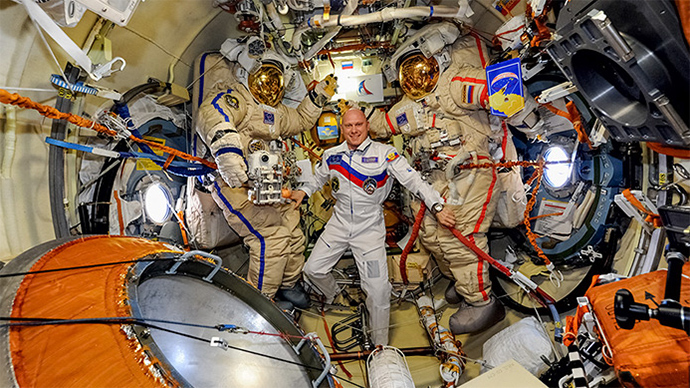 After the docking and hatch opening the expedition 42 crew has been welcomed aboard by Butch Wilmore, Aleksandr Samokutyaev and Elena Serova, who also flew to the ISS in an automatic short-trajectory regime back in September. In March, the Expedition 39 crew was forced to take a longer trajectory to the ISS instead of the planned six-hour one as a precaution after the Soyuz spacecraft skipped a pre-programmed steering maneuver. Soyuz vehicles typically used to spend two days chasing the space station in orbit after launch. A quicker arrival to the orbiting complex cuts down the overall amount of consumables, as well as minimizes the amount of time the astronauts spend inside the small Soyuz. “We're going to be primarily focused on maintaining the station safely, keeping it running and leaving it a better place than when we arrived,” Virts said before the launch.